The 2014 FIFA World Cup fever is at an all time high and we’re looking for ways to keep tabs on our favorite team as they make their way to the top of the charts, and if you’re a user of Google Now on iOS and Android, then tracking your favorite team just got a lot easier. Just moments ago, the official Google Search for iOS app was updated which allows users to see live score updates in form of cards in real time as each game unfolds. Android users also get the taste of the action, and adding your teams on both iOS and Android is as simple as scrolling all the way down on the Google Now interface and then tapping on the little magic wand button, from there you can add the teams you want to follow. And users don’t need to update anything on their device to get in on the action. 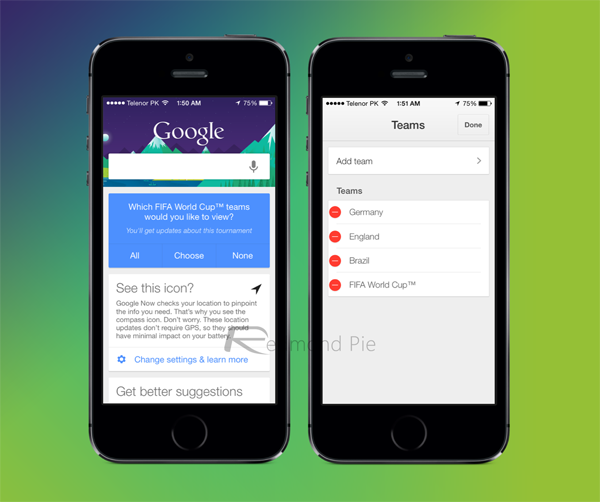 Google Search is getting ready for the Soccer World Cup with Google Now cards that keep you updated on every match. You can tap on cards showing a match to get details: scorers, match statistics, group standings and more. Make sure you are signed in to Google, and have your Google Now turned on in your settings. Swipe up to see your Google Now cards and follow your favorite team! 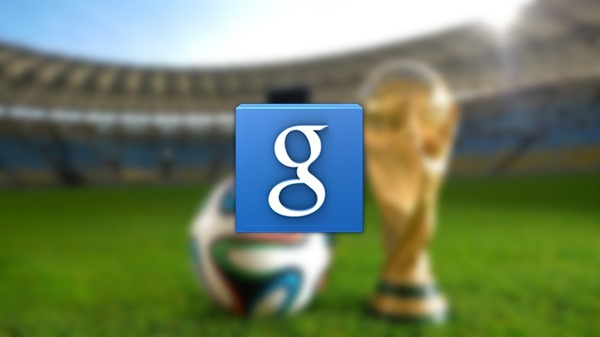 Apart from Google Now, there are plenty of other ways on how you can follow the 2014 FIFA World Cup. Alternatively, you can download and install the official FIFA app from the iTunes App Store or the Google Play Store, which is absolutely free of charge. If you’re on iOS, it’s recommended that you give the official Google Search app a shot, it’s also free of charge like the FIFA app, and allows you to select your teams from a broad list, after which match updates and stats will be pushed to your device.